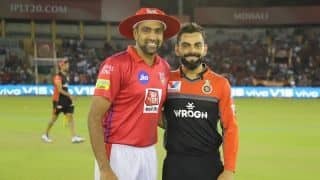 Hello and welcome to out match coverage of Match 19 of the IPL 2019 between Sunrisers Hyderabad and Royal Challengers Bangalore at the Rajiv Gandhi international stadium, Hyderabad on Saturday. ALL OVER! Alzarri Joseph shines with best-ever IPL figures. He finishes with 6 for 12 on his IPL debut. Mumbai Indians return from the dead. They have defended 136 by bowling Sunrisers Hyderabad out for 96 and won the match by 40 runs. End of Over 17: OUT! Mohammad Nabi, Sunrisers’ last hope, has perished. Short ball from Bumrah and Nabi slogs, top edges and Rohit takes the catch. Payback for the Mumbai captain. Sunrisers are crumbling in their chase at 91 for 8. End of Over 16: Two in two for Alzarri Joseph. Talk about a dream IPL debut.Deepak Hooda swings for the fences and misses to have his middle and off stump rattled. Next ball, Rashid gloves a bouncer to give Joseph a return catch. Four wickets for him. Sunrisers 89 for 7, need another 48 off 24. End of Over 15: Sunrisers 84 for 5. Bumrah back and he bowls a fine 15th over, conceding 8 off that over, including a thumping SIX off the final delivery from Mohammad Nabi. Right then, he has three overs remaining and he’ll surely bowl the 17th and 19th over. 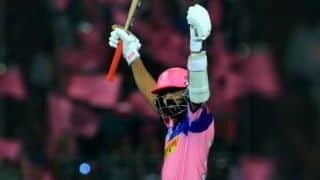 Do Mumbai turn to Alzarri Joseph or Hardik Pandya? End of Over 14: Impressive stuff from Rahul Chahar, gives away just 3 in his final over and finishes with 2 for 21. Fabulous. Sunrisers 76 for 5, need another 61 off 36 balls. Mumbai were 4 runs behind at the same stage. End of Over 13: Behrendorff bowls out, gives away five off his final over as SRH reach 73 for 5. Mumbai the side on top but there is batting left for the Sunrisers. Nabi and Hooda are clean strikers and Rashid Khan and Bhuvneshwar can bat. It’s still not over. End of Over 12: OUT! And another one goes. This time, it’s Yusuf Pathan – out for a DUCK. Implies the sweep shot off Rahul Chahar which went straight to Ishan Kishan stationed at backward square leg. It was the googly again. Sunrisers 68 for 5. End of Over 11: GONE! Pulled and taken by Rohit Sharma at short midwicket. Pandey goes as Sunrisers lose their fourth wicket. Jason Behrendorff strikes third ball into his second spell. SRH 4 down for 61. End of Over 10: Krunal and Hardik operating in tandem. Krunal is bowling it quicker through the air and there’s just about enough spin to keep the batsmen guessing. Five off that over as SRH reach 59 for 3. End of Over 9: Hardik Pandya starts off with a seven-run over. Sunrisers 54 for 3. End of Over 8: Krunal Pandya starts off with a tight over, gives away just four off it. Sunrisers 47 for 3. This is the first real test for Sunrisers’ middle order, who have not got many opportunities. End of Over 7: Another top edge and Vijay Shankar perishes to the short ball. Second wicket for Alzarri Joseph. Shankar Goes for the pull and Hardik Pandya takes the catch at backward point. Sunrisers three down for 43. End of Over 6: Can you believe it? Kieron Pollard drops the easiest of catches. It’s what beginners take in practice sessions. Wrong one from Chahar and Pandey goes for a swing before the big West Indian puts it down. He’s taken so many stunners in the IPL – so many one-handed screamers, and now this. Cricket sure is a great leveller. Sunrisers 39 for 2 at the end of Powerplay. End of Over 5: BOWLED HIM! Two in two for Mumbai as Alzarri Joseph cleans up David Warner. First Bairstow and now Warner. Mumbai are pumped. A slower one to start off his IPL career and gets rewarded with a wicket. What a start for the quick West Indian. What more? He bowls a wicket maiden. Sunrisers 33 for 2. End of Over 4: OUT! Big wicket for Mumbai. Bairstow top edges Deepak Chahar and the catch is taken bu Bumrah at short third man. First time that Sunrisers have lost a wicket inside the Powerplay. This was much-needed for Mumbai. Sunrisers 33 for 1. End of Over 3: Sunrisers are blazing away. Three boundaries in that over from Behrendorff. Warner flicks him behind square and Bairstow takes the left-arm fast bowler for consecutive FOURS to cap off the over. 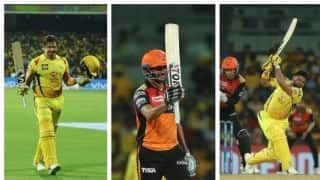 Sunrisers 27 without loss. End of Over 2: Jasprit Bumrah shares the new ball with Behrendorff. Warner and Bairstow’s running between the wickets this season has been nothing short of sensational and the pair is at it again. Sunrisers 14 for 0. End of Over 1: Sunrisers up and running. Jonny Bairstow cracks Jason Behrendorff for his first boundary through covers. SRH 8 without loss. Remember, Sunrisers are yet to lose a wicket inside Powerplay this season. That needs to change tonight if Mumbai are to make something of this game. Pollard power pushes Mumbai Indians to 136/7. End of Over 20: Pollard finishes it off in style, taking 10 off the last two balls as Mumbai Indians finish on 136 for 7. Sunrisers were poor in the field with Nabi dropping a catch and helping the ball over the fence. Last ball, what should have been a single ended up in a boundary due to a fumble from Deepak Hooda at long-on. Pollard finishes on 46 off 26. Mumbai Indians get 39 in the last two overs and get a reasonable total in the board. GAME ON. End of Over 19: SIX, SIX and SIX! Pollard finally gives Mumbai Indians reasons to cheer. Kaul concedes 20 in his final over. All full-toss, baffling from an international cricketers. Pollard smokes a one-handed six over long off and follows it with a SIX over cow corner. Kaul then oversteps and bowls another full-toss which is deposited into the stands. Mumbai 117 for 7. End of Over 18: Well, it’s just one of those games, where one side is completely on top. Rahul Chahar gets a boundary but perished to Bhuvneshwar. He is the seventh Mumbai Indians wicket to fall. And they’re yet to cross 100. Meanwhile, Rashid drops Pollard running in from deep-square leg. Will it be costly? End of Over 17: GONE! 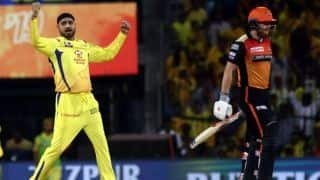 Rashid Khan strikes and Mumbai Indians have been dealt a big blow in the form of Hardik Pandya’s wicket. He smoked Rashid for a SIX over midwicket but the legspinner came back strongly two balls later to get his man. Pandya sweeps but the ball goes straight to deep midwicket. Rahul Chahar meanwhile is off the mark with a late cut for FOUR. 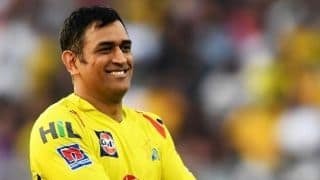 Mumbai 92 for 6. If they can get to 130, they’d be mighty pleased. End of Over 16: Sandeep Sharma uses the slower delivery well to keep the batsmen guessing. Mumbai 80 for 5. Surely, Hardik and Pollard have to go for it now. End of Over 15: Mumbai Indians 75 for 5. They’re going absolutely nowhere. The last boundary came in the 11th over. The pitch surely isn’t a 120 surface. Sunrisers have clearly bowled superbly. Final five overs left. Can Pandya and Pollard produce a repeat of the other night in Mumbai? End of Over 14: Kaul bowls another tidy over, just five off it. Mumbai 72 for 5 and take the strategic time out. It’s needed now more than ever. End of Over 13: Mumbai Indians FIVE down for 65 as Ishan Kishan is RUN OUT. Kishan took off for a single but Pollard refused, forcing the young wicketkeeper batsman to return. Jonny Bairstow had already knock the bails off while he was on his way to collect the ball. But Kishan was so far down the wicket that Bairstow had plenty of time to collect the ball and uproot the stumps. Mumbai tottering. End of Over 12: MI slump further to 63 for 4 as Krunal Pandya departs. Short ball from Kaul and Krunal top edges for Bairstow to complete the simplest of catches. Where do Mumbai go from here? Pollard joins Ishan Kishan in the middle. End of Over 11: And now Rashid Khan in the attack. Mumbai take him off positively. Nine off that over including a boundary from Ishan Kishan and THREE wides. MI 61 for 3. End of Over 10: Nabi bowls out, with incredible figures of 1 for 13. His last two outings have brought him 4/11 vs RCB and 2/21 against DC. Mumbai Indians 52 for 3 and in urgent need to accelerate. End of Over 8: Just four singles in that over. Nabi racing through his overs. Mumbai scoring at 5.25 an over to reach 42 for 2. One of them will have to push the scoring rate. In a time where players are scoring over 50 runs inside the Powerplay, MI have managed 42 in eight. End of Over 7: A much-needed boundary from Quinton de Kock but that’s pretty much it from that over. Yusuf and Nabi bowling well in tandem, hardly giving away anything. MI 38 for 2. End of Over 6: The Powerplay is done with and a tight over from Nabi keeps Mumbai Indians to 30 for 2. Runs not easy to come by. End of Over 5: GONE! Suryakumar Yadav declared out LBW to Sandeep Sharma. He went for the sweep and up went the finger. Yadav went upstairs and even though the ball was just clipping the off stump, he has to go due to umpire’s call. MI are 28 for 2. End of Over 4: First wicket down for Mumbai Indians. And it’s Mohammad Nabi with the breakthrough. His stunning season with the ball continues. Short ball and Rohit pulls it straight down deep midwicket’s throat. Once again, Rohit falls inside the Powerplay and this will hurt MI. Nabi strikes in his first over and nearly gets Suryakumar Yadav out stumped next ball. Mumbai Indians 22 for 1. End of Over 3: And now Quinton de Kock is away. Shuffles in the crease and whips Bhuvneshwar for a flick which flies over third man. First SIX for him. The next one was hit hard but the bat turned in de Kock’s hand as the ball was stopped inside the boundary. MI 19 without loss. End of Over 2: Nine runs off that over as MI reach 10 without loss. Rohit in underway as he finally middles Sandeep Sharma into the stands over deep square leg. End of Over 1: What an eventful over to get the game underway. A close LBW shout against Rohit turned down by the umpire. And rightfully so. SRH went upstairs but there seemed to be a tickle along the way as the ball went past the bat. Next ball, Bhuvneshwar Kumar could have had Rohit but Siddharth Kaul made a mess of a chance. MI 1 without loss. And we are underway! Rohit Sharma and Quinton de Kock out in the middle for Mumbai Indians, Bhuvneshwar Kumar has the new ball in his hand. SRH are unchanged while Mumbai Indians have handed out an IPL debut for West Indian youngster Alzarri Joseph. Ishan Kishan comes in for Yuvraj Singh. TOSS: Sunrisers win toss and opt to bowl first. 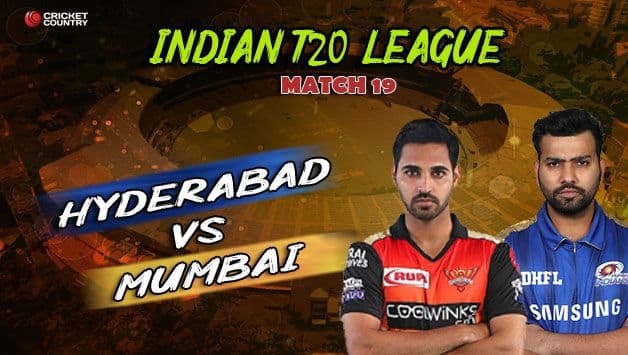 Hello and welcome to out match coverage of Match 19 of the IPL 2019 between Sunrisers Hyderabad and Mumbai Indians at the Rajiv Gandhi international stadium, Hyderabad on Saturday. 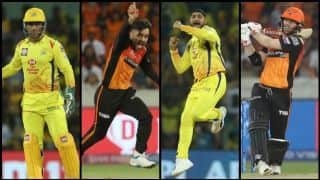 Sunrisers Hyderabad are quickly shaping up to be the team to beat this Indian Premier League (IPL) season. Whatever the surface, they have found ways to thrive and succeed. If it were not for a rampaging Andre Russell, they would have won all four of their matches so far. The three victories they have recorded against Rajasthan Royals, Royal Challengers Bangalore and Delhi Capitals have been quite impressive. The only loss, in their season opening game to Kolkata Knight Riders, came in a close contest which went down till the last over. Barring that, they seemed to have been quick to identify and rectify their mistakes. Death-overs bowling had been a concern in their opening two fixtures, but the bowlers stepped up in the next two matches. Batting is where they have been utterly dominant, having crossed the 200-run mark twice. Their latest opponents are Mumbai Indians who have been erratic at best. 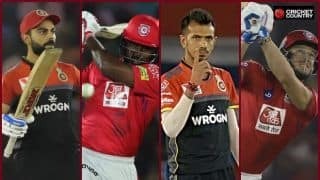 It’s been a sort of stop-start season for the three-time IPL champions who have won twice and lost as many. Batting hasn’t been a big concern with their average total hovering around 177. Bowling is an issue though as they have leaked runs in plenty. 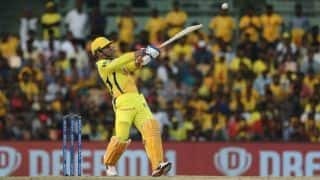 Barring their victory over Chennai Super Kings, they have conceded runs in their remaining three matches. DC made 213 after batting first, RCB 181 in chase of 188 and KXIP hunted down 177 with eight deliveries to spare. 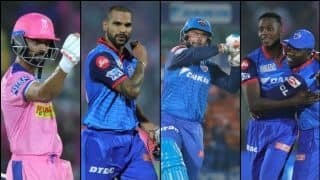 What MI captain Rohit Sharma will take some confidence from their performance against CSK in which bowlers and batsmen fired in unison. 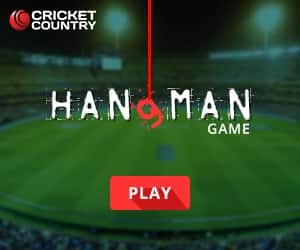 Although, it was mainly due to the heroics of Hardik Pandya and Kieron Pollard that they posted a challenging total, plundering 45 runs in the final two overs. Hardik then starred with the ball to take 3/20 as they won their second match of the season. They will have to do better than that if they harbour to stop the red-hot SRH.